Decades ago I had an idea that questions could be vehicles to facilitate change in addition to eliciting answers. Convention went against me: the accepted use of questions (framing devices, biased by the Asker, that seek to a defined range of answers) is built into our culture. But overlooked is their inability to extract good data or accurate answers due to the bias of the Asker; overlooked is their ability to facilitate congruent change. Conventional questions restrict responses to the Asker’s parameters, regardless of their intent or the influencer’s level of professionalism and knowledge. Potentially important, accurate data – not to mention the real possibility of facilitating change – is left on the table and instead promote lost business, failure, distrust, bad data collection, and delayed success. Decision Scientists end up gathering incomplete data that creates implementation issues; leaders and coaches push clients toward the change they perceive is needed and often miss the real change needed and possible. The fields of sales and coaching are particularly egregious. Interesting. They figured this out now? Even David Sandler called me in 1992 before he died to tell me he appreciated how far out of the box I went to find the resolution to the sales problem. The data was always there. I uncovered this in 1983. But the CEB missed it because their research surveys posed biased questions that elicited data matching their expectations. Indeed, even during our conversations, my Communication Partner never got rid of his solution-placement (sales) biases. By approaching situations with bias, albeit unconscious, Askers can only successfully connect with those whose conscious biases align with their own, leaving behind many who could change, or connect when their unconscious data is recognized. And conventional questions cannot get to the unconscious. Because influencers are unaware of how their particular bias restricts an answer, how much they are leaving ‘on the table’, or how their questions have skewered potential, they have no concept if there are different answers possible, and often move forward with bad data. 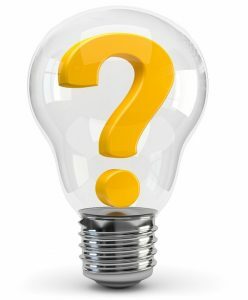 When sellers ask leading or ‘open’ questions that seek answers they want to hear, or coaches ask influencing questions that try to uncover a specific answer, or scientists ask questions according to their own presumptions, we’re coaxing our Communication Partner in a direction that, as we now recognize, is often biased. Imagine if we could reconfigure questions to elicit accurate data for researchers or marcom folks; or enable buyers to take quick action from ads, cold calls or large purchases; or help coaching clients change behaviors congruently, permanently, and quickly; or encourage buy-in during software implementations. I’m suggesting questions can facilitate real change. Facilitative Questions (FQs) use a new skill set – listening for systems – that is built upon systems thinking. Even on a cold call or in content marketing, sellers can enable buyers down their route to change and buy-in; coaches can lead clients through their own unique change without resistance; leaders can get buy-in immediately; change implementations won’t get resistance; advertisers and marketers can create action. An example is a question we designed for Wachovia to increase sales and appointments. Instead of seeking prospects for an appointment to pitch new products (i.e. using appointments as a sales tool), we designed questions to immediately facilitate discovery of need, taking into account most small businesses already have a banking relationship. After trialing a few different FQs, our opening question became: How would you know when it’s tme to consider adding new banking parnters, for those times your current bank can’t give you what you need? This question shifted the response to 100 prospecting calls from 10 appointments and 2 closes over 11 months, to 37 invites to meet from the prospect, and 29 closes over 3 months. Facilitative Questions helped the right prospects engage immediately. Sharon Drew Morgen is a change facilitator, an original thinker and visionary who has developed Servant-Leader models to facilitate change in sales, coaching, marketing, leadership, and negotiating. Her model Buying Facilitation® has been trained to over 100,000 sales people, coaches, and leaders worldwide. She is the author of 9 books including the NYTimes Business Bestseller Selling with Integrity and Amazon bestsellers Dirty Little Secrets and What? did you really say what I think I heard? Sharon Drew is a speaker, trainer, consultant, and coach. Her training model matches her beliefs: she enables learners to shift congruently to adding new thinking and skills permanently.